The Church was dedicated on 17th July 1712. St Ann’s is normally open from Tuesday to Saturday for prayer and visitors between 10.00 am and 5.00 pm. Our gift shop is also open at these times. Please note: due to a heating problem the church is currently colder than normal. Dress accordingly! The welcome is still as warm as ever! The next recital is at 1pm on Tuesday 23rd April 2019. Five artists. One Question: How did it get so dark? 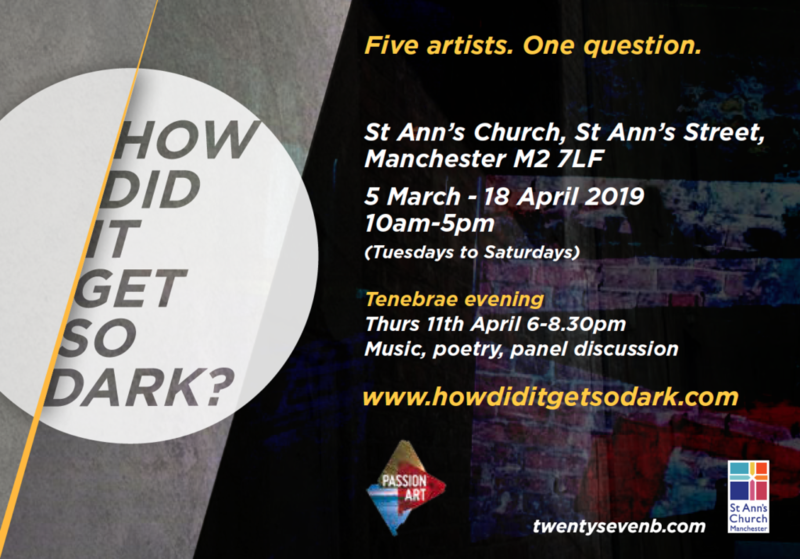 During Lent come and see how five incredible artists have answered this question and tell us how you would too. Please click on the ‘Church’ category for services on Sundays and other days.